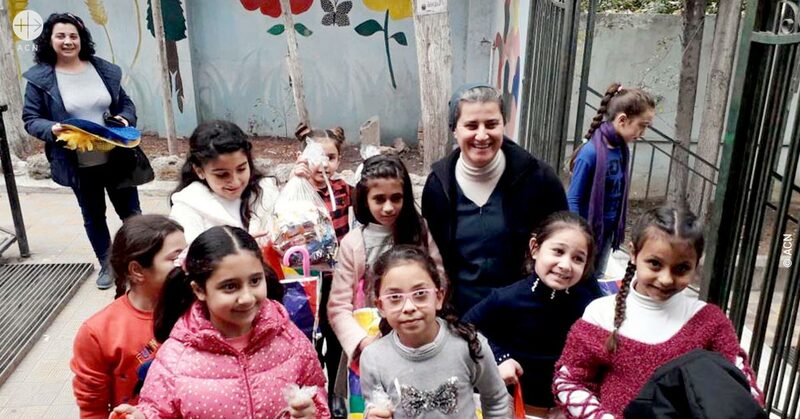 Aid to the Church in Need is supporting the pastoral work of the Sacred Heart Sisters in the Syrian city of Homs. The church of Altip, in the Bab Al-Sebaa district, just south of the Old Quarter of Homs, is a social and pastoral training centre. “Years ago it was a Catholic school, but then the government banned all non-state schools. 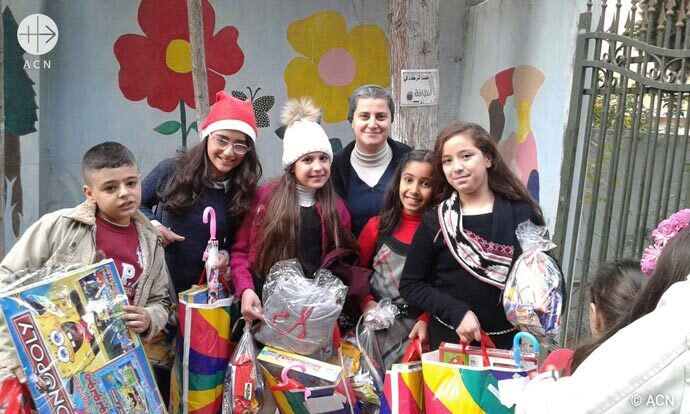 Since then we have used it as a catechetical centre, giving religious instruction to young people and adults, and we also hold social events and sports days here”, explains Sister Samia Syiej, the religious sister in charge of coordinating catechetical instruction for a group of Confirmation children. Working alongside Sister Samia are a number of young university students who divide themselves between the various different catechetical groups and actively help in this pastoral apostolate. A delegation from our international Catholic pastoral charity and pontifical foundation Aid to the Church in Need (ACN) happened to visit while they were endeavouring to explain to the young boys and girls about the life of Jesus during his Passion and Crucifixion, a central point of the Christian faith. One of these catechists is Haya Elias. 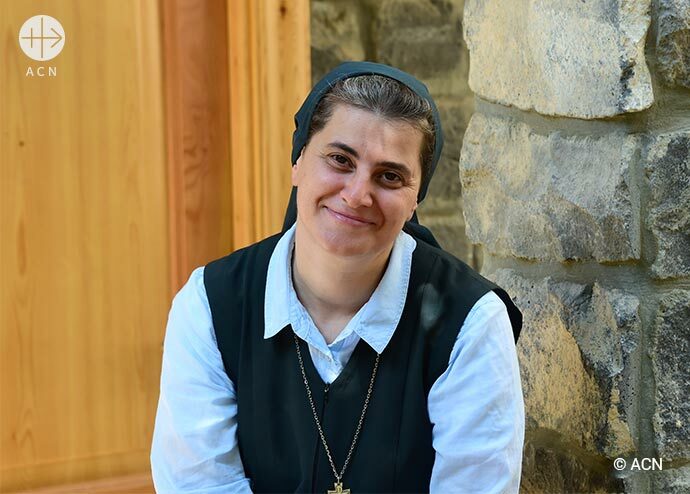 “Sister Samia taught us how to become closer to God, and now we are passing this on those who come after us.” She is studying philology at university and has always been a member of the group helping the sisters. 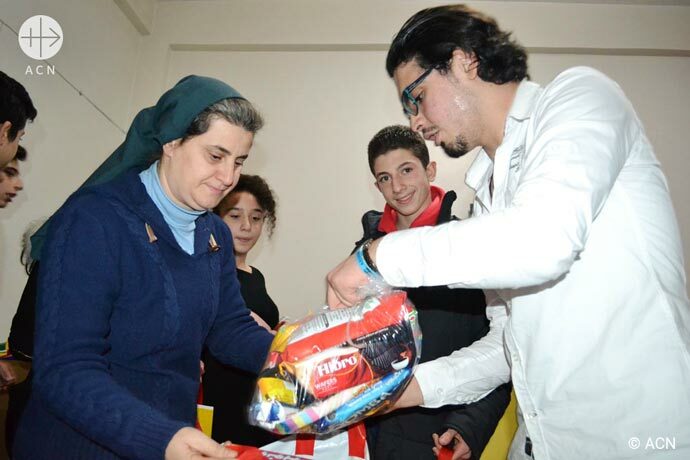 During the year 2018, and thanks to the generous help of our many benefactors throughout the world, the pontifical foundation ACN has been able to support more than 35 pastoral courses and programmes for young people and children in various different parts of Syria, for a total cost of 170,000 Euros.